This post is long overdue. A few weeks ago, my doctor sent me to buy some really expensive antibiotics for my breast cyst. During that time, I still had no idea wether or not it was benign so I was really pretty depressed about it. Add to the fact that one week of my antibiotics cost me almost P3000/$70! Money I would much rather have spent on a pair of shoes. Anyway, while waiting along the counter for my prescription to be filled, my wandering eye caught a glimpse of a beautiful blue shade in a tiny bottle. The color made me feel happy despite it being blue so I quickly grabbed the tiny vial and added it to my purchases. It was the perfect shade of blue, the blue I have been obsessed about this entire year, the blue that goes so well with coral, and it only cost me P24/ $0.50! Bonus points, it lifted my "pharmacy depression". I'm on your post March 22 ...you are not to old ! Beautiful!! 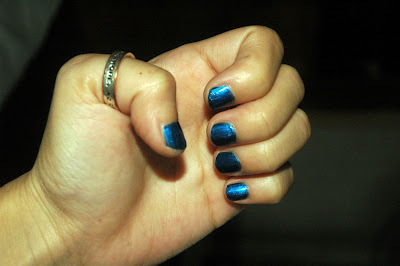 I have been loving the blue toned nail polishes!! Such a beautiful shade! At the risk of sounding extremely blonde can I ask what 'P24' means? Great color of nail polish! 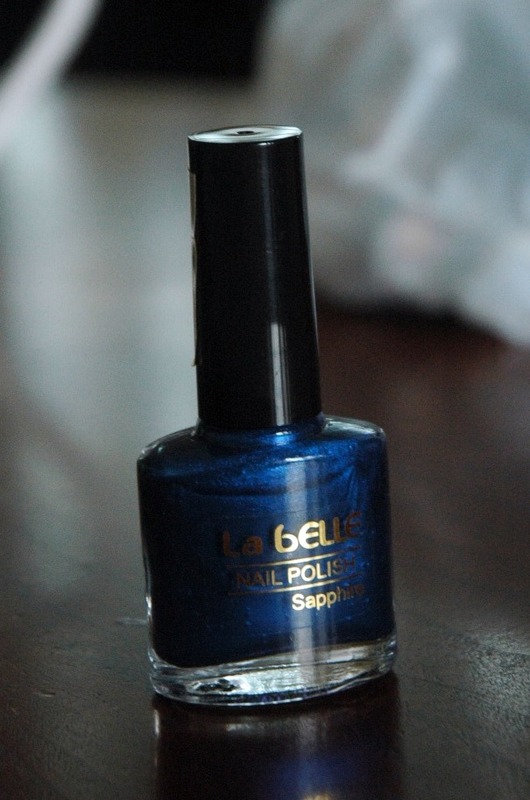 Gorgeous blue shade!! Found your blog off another fashion website & so happy I did! Please swing by my blog if you have a chance. New post up about Bohemian Fashions! Gorgeous color, anyway. I hope your test results come out well for you... good luck! LOVE IT! I must look it up and buy a bottle myself. Thanks, and hope you're feeling well!